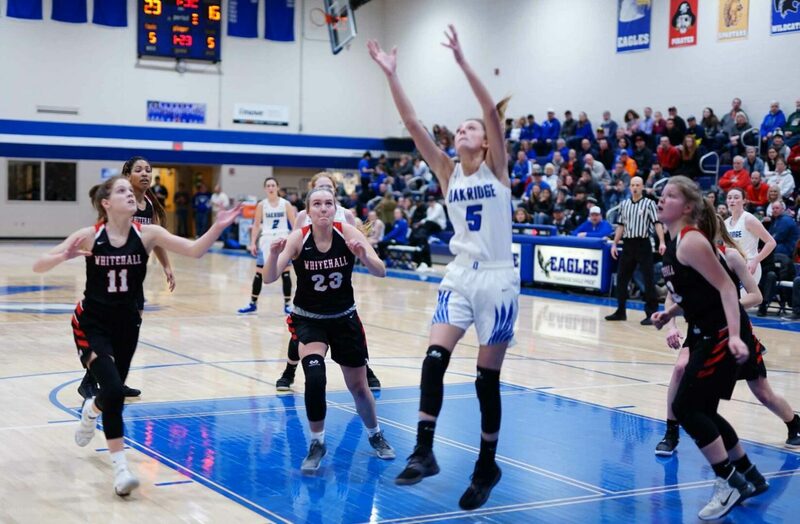 EGLESTON TOWNSHIP – It’s safe to say that the Oakridge girls basketball team had Friday night circled since Jan. 8, when the Eagles had their 82-game West Michigan Conference winning streak snapped in an overtime loss to Whitehall. On Friday, the Eagles got a big stroke of revenge with a 42-29 home victory over the Vikings. 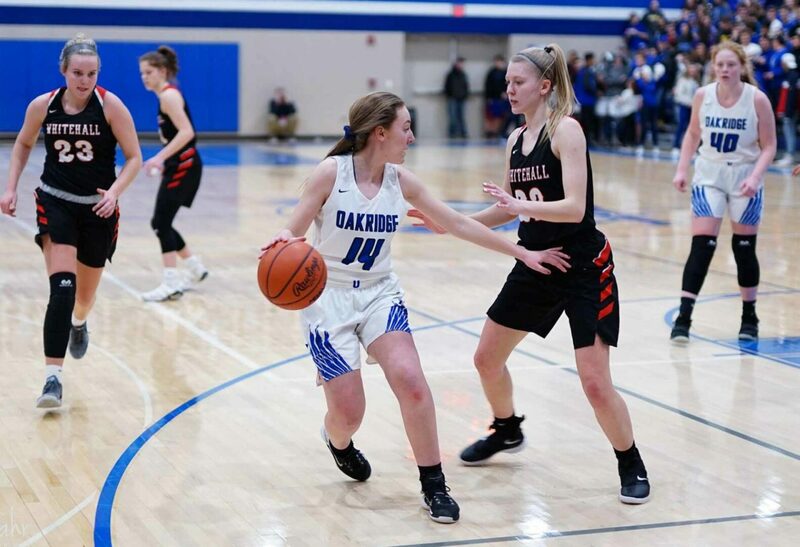 With the win, Oakridge improved to 13-2 overall and got a leg up in the conference championship race, improving to 9-1. Whitehall fell to 11-2 overall and 9-2 in conference play. “I feel great,” said Oakridge senior guard Sophia Wiard after scoring 18 points in the victory. “It’s a great way to head into the weekend. We all knew how much we wanted it and how much we prepared for it. When the game started on Friday it was easy to see that Oakridge was playing with some extra fire. 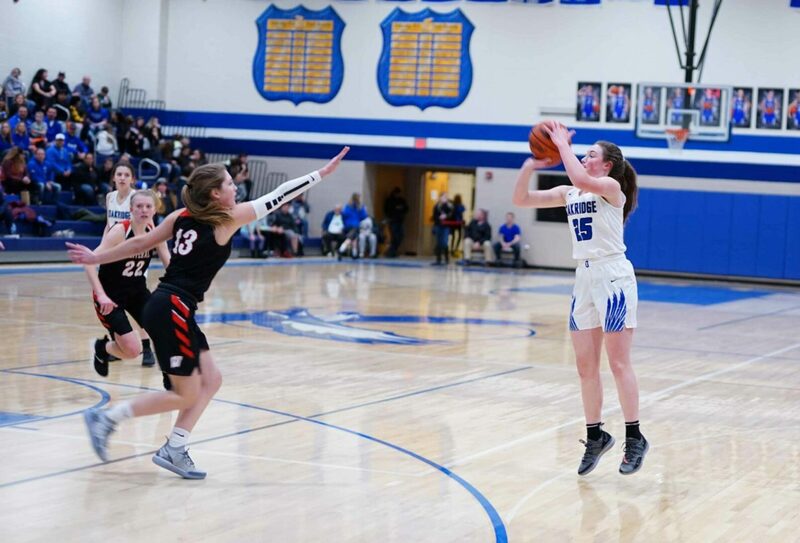 The Eagles jumped out to an 8-0 lead within the first four minutes after forcing seven missed shots and three turnovers. Whitehall responded, however, finishing the quarter on a 9-2 run to make the score 10-9 in favor of Oakridge after one. 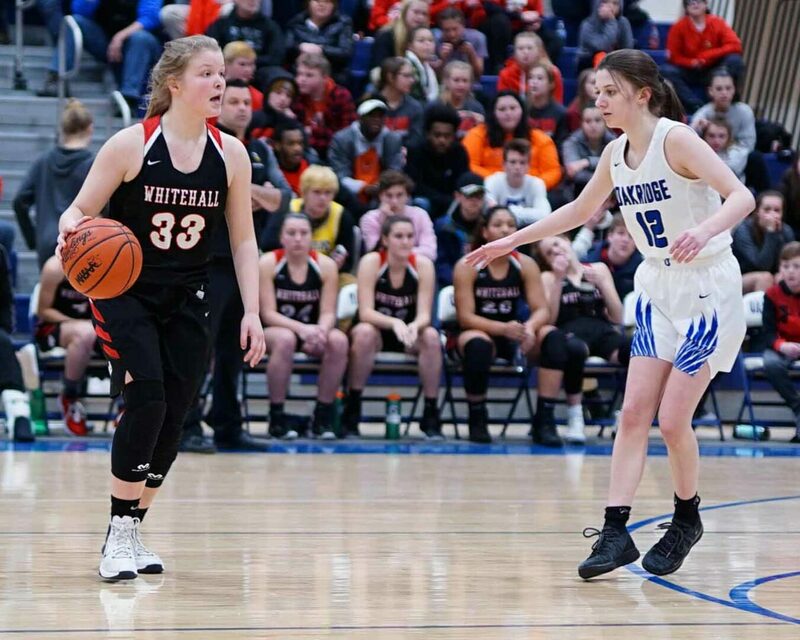 After a Kacy Jeffries three-pointer with 7:15 remaining in the second quarter gave Whitehall a 12-10 lead, Oakridge outscored the Vikings 13-4 over the final seven minutes to take a 23-16 lead into halftime. 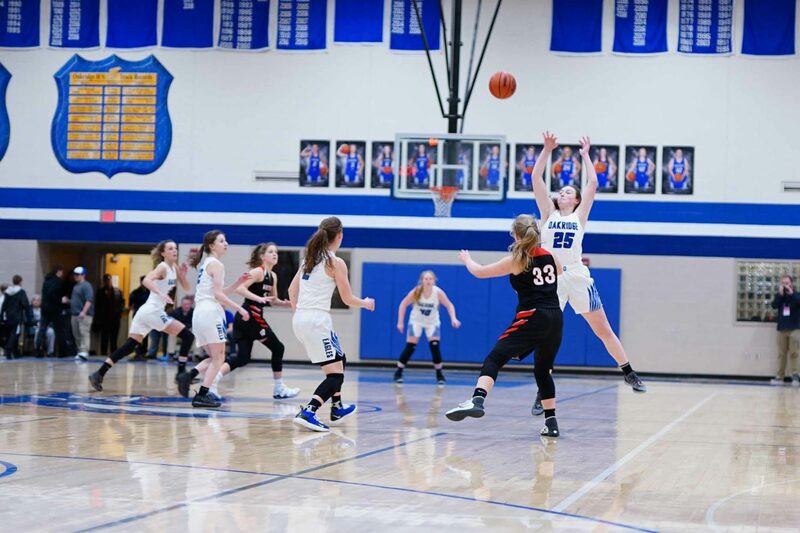 In the third quarter the two teams played pretty even, with Oakridge holding a 33-24 lead headed into the final quarter. 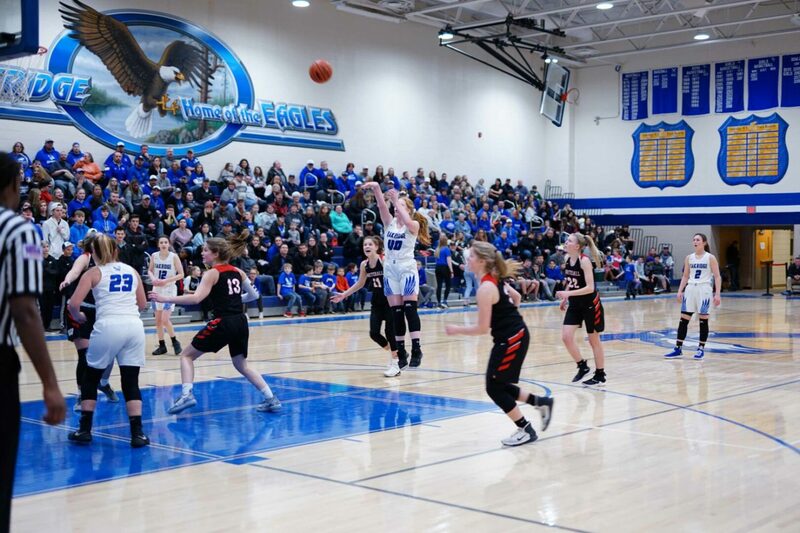 In the fourth, the Eagles’ defense once again took the spotlight, holding Whitehall to five points over the final eight minutes to claim the key league victory. 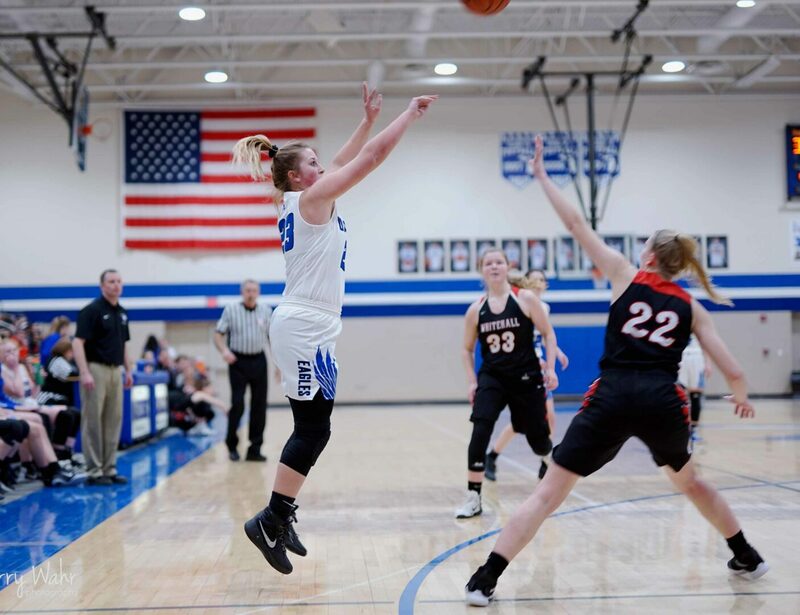 While Wiard led all scorers with 18 points, her performance was a little extra special due to the fact that she has the flu. 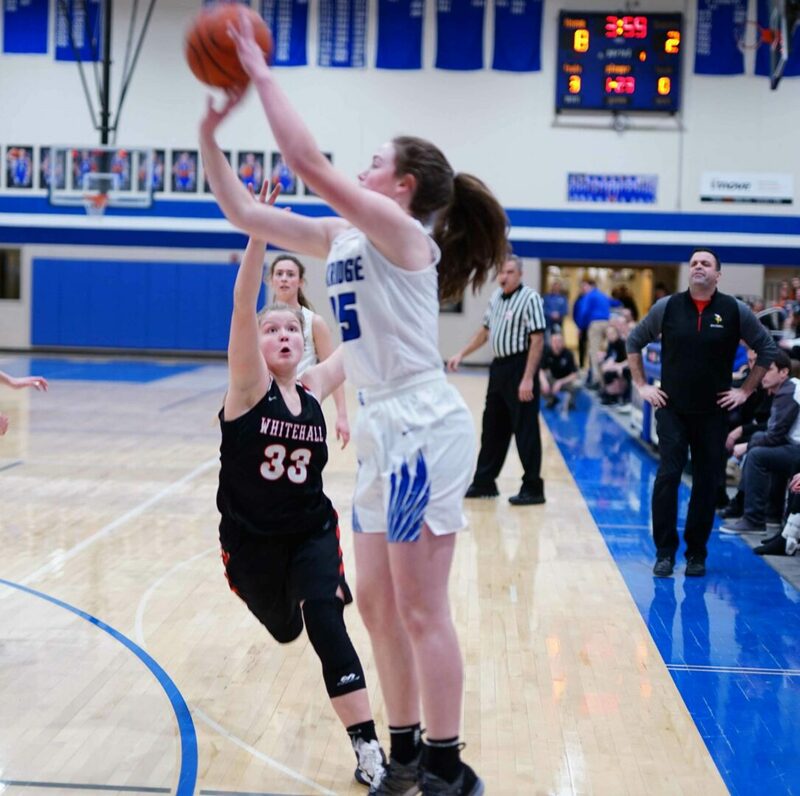 Brianna Pastor was the second leading scorer for Oakridge with seven points while Whitehall was paced by Jeffries with eight points.